Planning to Buy a Cricut? PLEASE READ THIS If you are planning on buying a Machine take a look at this before you buy somewhere else! Let us save you some BIG MONEY! Photo 1 - the maker is 399.99 if you purchase it just like this. but if you go and Purchase access premium 1st all by itself it is 9.99 then if you purchase a Circle membership & pick the exclusive cartridge (not in Access) it is 79.99 but group discount APRILCRAFT and Access discounts do apply so it comes out to 64.79 that paired with the access you purchased is 74.78 spent! Now purchase the maker as your 3rd purchase. look at the cost of the maker with your discounts in photo #2 the maker is 323.99 - you spent a total of 398.77... so its only 1.22 you say? Wrong. 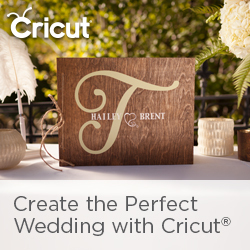 for the next year all your purchases on cricut.com get 10% off and Free shipping! thats HUGE! Plus as long as you have Access you get another 10% off all your cricut .com purchases! but wait then you can apply the group code to all your purchases for another 10% off - this code does not apply to digital images, brightpad easypress or machines...thats what Circle and Access are a great bonus its like getting them for free!! well actually it is like you get paid 1.22 to take them! discounts are always stacked and not combined. shop here.... make 3 seperate purchases to get this deal! SHOP #ad http://shrsl.com/ncih Use the group code APRILCRAFT and save 10% and free shipping 10% Circle and 10% Access discounts apply automatically where applicable. CIRCLE #AD HTTP://SHRSL.COM/M6H3 Use the group code APRILCRAFT and save 10% and free shipping 10% Circle and 10% Access discounts apply automatically. MAKER #AD HTTP://SHRSL.COM/OBL4 Use code MYSTERYMARCH for free shipping on orders 99+ 10% Access and 10% Circle discounts apply automatically with a current subscription.